Discover if Pipedrive CRM Software is the number one Sales CRM for your company. Is Pipedrive CRM really a sales CRM built for minimum input and maximum output? The EntrepreneursGateway.com have tested it to the absolute MAX in this Definitive Review! Discover if it’s user interface really is user friendly. Just how simple is it to import and export your data! Is Pipedrive the number one management tool for salespeople? 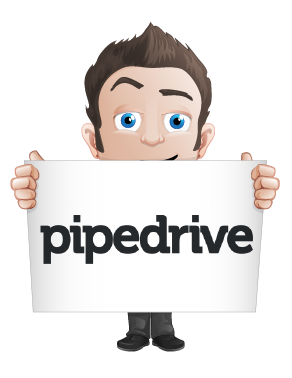 Pipedrive offers great CRM, sales management, and lead generation. ​Pipedrive is one of the cheaper available options, and you will definitely get a lot for your money. ​Pipedrive’s simple and clear design makes it extremely easy to use. ​Pipedrive does offer multiple support channels; however, the response times are fairly long. 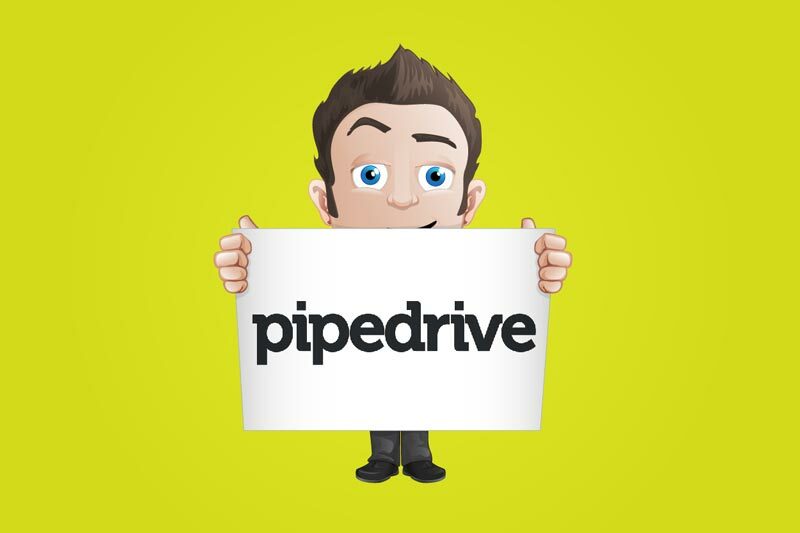 Is PipeDrive the right CRM for you? To put it simply, a CRM can help business owners collect, organize, and manage customer information. But not only that! It can also manage your sales and marketing activity. There are plenty of CRMs out there that will tell you they can do all these things, but don’t be deceived! Plenty of them are just plain money-grabbers and simply aren’t be very useful for your business. I have had first-hand experience in both successes and failures, from using software tools for my business. I am going to share, with you, my discoveries with one CRM that I instantly fell in love with. Pipedrive. In this review, we will look at what Pipedrive CRM offers together with the features that even your salespeople will appreciate and love plus it is not limited in its benefits to just your sales activity and efficiencies. I will put Pipedrive through our rigorous testing and will look at the following aspects. Performance: How does Pipedrive perform and what features does it offer to help create the perfect CRM? Usability: Does Pipedrive offer everything necessary that users expect from CRM software? Support: Does Pipedrive offer quick customer support solutions and help, and can you count on them when it matters most? Cost: Does Pipedrive offer the best pricing in the marketplace? AND more importantly, what deals are available that can help you save money? The most convenient thing about Pipedrive though is its ability to effectively manage your company’s sales pipeline by using its very intuitive system. Pipedrive is a universally applicable system which allows you to tweak all of your workflows – however complicated they may be. It is also available in thirteen languages and serves most geographies and works with a large range of currencies. Its open API configuration means that it blends in perfectly with every landscape and can be harmoniously applied into all businesses including, Zapier, Dropbox, RightSignature, MailChimp, Zoho CRM plus many more. Pipedrive acts almost like your personal sales manager in that it helps you select the right activities and deals to focus on. It’s a real blessing for business owners and sales managers, as well as being an effective and useful application for salespeople. In this section, you will learn about some of the most used features that Pipedrive offers to help you automate your marketing and grow your business. Pipedrive has so many new features lined up for you to enjoy. Its Activity Scheduler makes scheduling so easy and not too time-consuming. There you can add current appointments and see it in the calendar; avoid booking the same activity twice. You can track down important emails through email forwarding. Emails can be done within the software, in the Mail tab, as this integrates with many email service providers. Sync your email with Pipedrive, so there’s no need to move from one app to another. So, all the sent and received emails related to a particular contact or a deal will be reflected in the pipeline entries. Whatever is in your emails service provider will also be in your Pipedrive CRM email tool. The email tool can be used to look at the monetary value of any emails that are associated with particular deals. By doing that, you can monitor and schedule other activity for that deal. After that, when you are doing your regular monitoring, you can have a quick look at which ones are overdue and which ones are still pending. Concerned this could be complicated? Don’t be; there are symbols and color codes that are easy to comprehend, to satisfy the information that your business needs. 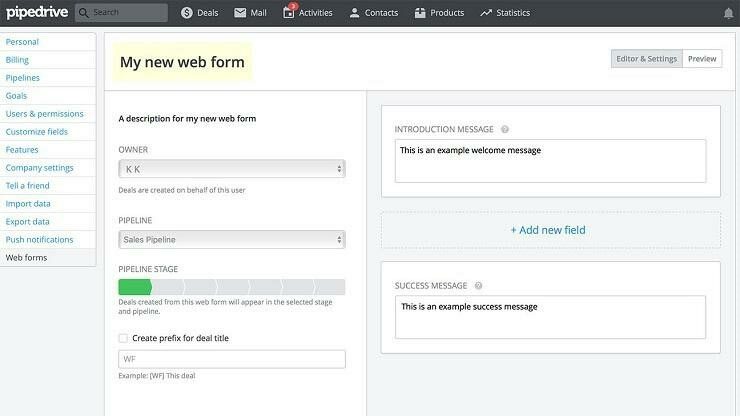 There is a wide array of creative email templates to choose from, and a tool that allows users to build and design their own email. You can insert email signatures, photos, rich text, links, and other elements of design when needed. There is a new way to add list views, which you can export and customize or edit by bulk, where you can change different fields. You can also export by bulk. For example, if you have integrated Mailchimp, then you can have the option of Export to Mailchimp. Another new feature is the ‘Pen’ icon in every cell in the list. This allows you to edit each field individually. New filters have been added such as the public filters to show and share to your team, and private filters that can only be seen in your own dashboard, which can be changed in the Visibility setting>Edit Filter. The filter can also be used to customize columns relating to each deal. In the ‘Statistics’ tab, there is a direct link to the dashboard where you can have a nice visual of all your activities and deals, whether they be new, won, or lost deals. This information can be viewed according to the pipeline, by project, or by date. 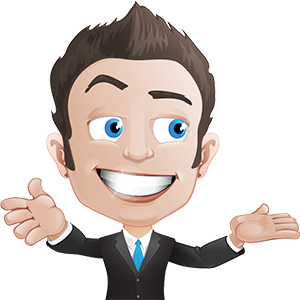 Want to know the secret of STRESS-FREE leads? I know the feeling… The search seems unending. It’s a heavy burden to keep having to chase down the leads. You don’t have to spend hours every single day just trying to get their attention. Pipedrive helps you move all your contacts in the pipeline through simple drag and drop action. A new contact or lead can be dragged into a column, for example, "Contact Made," you can easily change the status of the contact through a visual timeline. Although the leads management is not as sophisticated as Insightly, it has Web Forms that can help in the collection of contact information and pipelines. Customizations are done through Admin accounts, which you can put your own code in, either in your website or in a newsletter. Literally, anything can be customized. From texts and fonts to adding fields with multiple options that can be put into your forms. 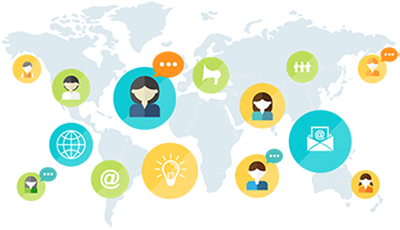 You can also put aside your leads management from your support and follow up with those who have already purchased. You can add more pipelines, with the simple interface, based in forms. You can also set aside your lead management and go to post-sales maintenance and support. You can also transfer deals from one pipeline to another through simple drag and drop. You can also move deals under the “Won” or the “Lost” deals area. Pipedrive cannot separate its leads from its contacts. Once you have new deals, the people involved in those deals become new contacts. If you have a small company that wants new leads, then you need to treat them as a potential customer. To separate your leads from your contacts, you should add another field, name it “Leads” into their contact form. Another option for small businesses that want to separate their leads and be more focused in their contacts is by using a third-party CRM that deals with leads management. 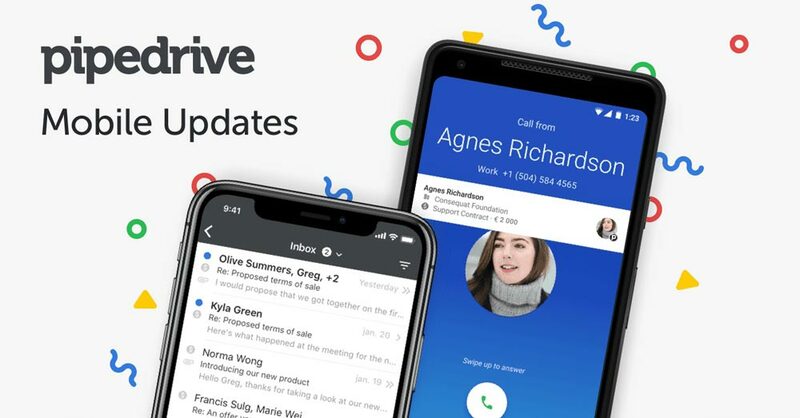 Verdict: Pipedrive offers a shed load of features that should be more than enough to satisfy the needs of any business and does a fine job of gathering and organizing data, however, it cannot separate its leads from its contacts which were rather disappointing. In this section, we will look at how to navigate around Pipedrive together with what help and support are available. Pipedrive is fairly easy to use! Its simple design makes it more user-friendly in contrast to its main competitors that some find confusing due to the many technical options. The UI of Pipedrive is strikingly clean, with pipes as its main design – to give you visual pipelines that represent sales deals. Upon logging in, the first thing you will see is the sales pipeline. Right after you purchase and the initial set-up, you can immediately start putting down your ideas and current deals in the pipelines. Customising the standard pipelines is also possible by going to the settings; all you have to do is drag and drop. Simple. Isn’t it EXCITING to open up a new package? With Pipedrive, it’s like Christmas has arrived early and brought you brand new toys to play with, except that these are grown up toys which you can make money with. Whenever a new deal comes up, you can click ‘Add Deal’ found at the top of the Deals tab. Click to create a new deal. Then there will be a pop-up prompt that will ask if you know that contact, which company the deal is related to, which pipeline the deal belongs to, and when the deal is expected to close. 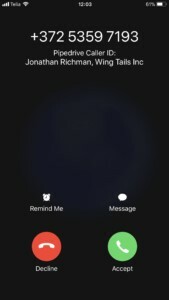 You can also create it as a new contact if this is necessary. After filling up your contact details, it will show up in your pipeline, along with the other deals you currently have. Everything here is highly visual; you don’t have to look hard to find things. Pipedrive is very easy to understand, and its minimalist and simple layout are startlingly clean and refreshing to see. Another thing that I love about Pipedrive is its price – it is reasonable!! With its simple user interface, you can be up and running quickly and easily. For those that are looking for a CRM service that centralizes on all of their businesses aspects, then I would suggest taking a look at something like Salesforce Sales Cloud Professional, Zoho or Apptivo CRM. If you suddenly discover that you need support in getting your Pipedrive CRM to run smoothly, then there are several support options available. As well as several in-depth demo videos, users can also search Pipedrive’s knowledge base, call support toll-free in the UK, US or Canada or even check out the FAQ’s. The company can even be reached via Social Media and responses to tweets is usually within 12 hours. There are various ways of reaching Pipedrive’s CRM support team, although some response times are longer than others. Generally, though, the software is so easy to use that there is a huge possibility that you won’t require these services at all. Verdict: Pipedrive offers a really intuitive user interface which makes it a dream to use and learn. This can have incredible worth when compared to the time and expense that other tools necessitate via onboarding and training. Do you hate leaving your office knowing that you left a huge pile of work to do? Were you ever anxious knowing that customers might contact anytime, and you are not there to answer it? Lots of people think business owners have no other life outside their desks. You don’t have to put up with that stereotype anymore! You can still bring back your social life without ever having to worry about leaving your work! You can go on vacations, sip your pineapple juice by the poolside and discreetly monitor your business through your phone! RELAX…you can lie on your back knowing that your business is still up and running, making you money. Never miss any important deal opportunities through mobile sales pipeline, contacts, and to-do-list. Have full confidence as you step into a meeting, even when you just got back from a 12-hour plane ride; because you know the history of your deals. Pipedrive has no problem if you have MULTIPLE devices (Android, iOS, laptop, or desktop) because of its two-way synchronization between web and mobile apps. Pipedrive is FULLY OPTIMIZED whether you have an Android or an iOS. So, I was on my way to meet with a client…of course, I had my Pipedrive app with me to guide with directions. Then I realized I would have to pass through the Underground in order to get there. This got me worried that I might not be able to contact them anymore since the signal’s weak. YOU DON’T NEED THE INTERNET!! Pipedrive’s app works for you offline. Yes! It totally works without internet! I was stuck in the Underground without an internet connection. But I still got my Pipedrive working! I did not have to worry about work getting interrupted. So, what happened was, when I got connected again, my work automatically synced with Pipedrive. What GOOD can downloading a Pipedrive app to your mobile do for you and your business? The Pipedrive mobile app allows you to manage the schedules of your meetings, appointments, and other activities right into your gadgets with a full day schedule viewer. You can be notified on your device when you have to be doing something or be somewhere to meet with a deal. When you’re in a meeting, take notes on your Pipedrive mobile app, and they can be instantly accessed in another web app. Never miss a single update even when you’re going out for a stroll. Pipedrive will notify you when something new is up. Scan through your gadget to see your to-do, make a quick search of a group or a contact, and monitor deals history of your contacts. Keep up to date with all your important sales details. Just make a quick search, and you can easily access the information that you need in an instant. Call your team or a client in your Pipedrive contacts – straight from your phone! It turns out you can still track your calls, log conversations, and make notes to the relevant deal, as if you were working on your desk – except that you are, say, at home enjoying a cup of coffee with your wife and kids. Pipedrive’s Mobile Nearby helps you discover clients within your vicinity. You can schedule a meeting with them on the spot! Find your way to your next meeting. You’ll always be ready whenever there’s a client near you, whenever and wherever you are. Your Pipedrive app has got you covered!! 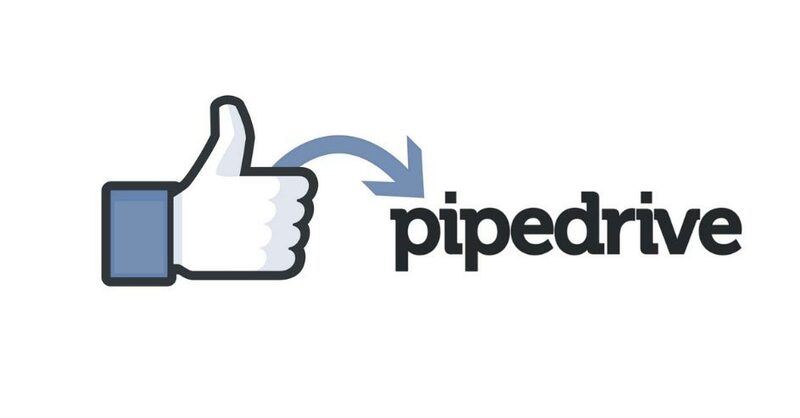 Because Pipedrivers love the mobile app, Pipedrive is always looking at ways of improving it. Since the beginning of 2018, they have compiled the sweetest mobile updates for iOS and Android, which I have listed below – just in case you missed them! External links to Pipedrive via messages, emails or just about anywhere for that matter, become instant gateways to your app. Now, you are able to click on any Pipedrive link, unlike previously, and instantly launch their admin killing CRM. This fab time-saving feature works on both Android and iOS. Android users are able to add contacts directly from their phonebook to Pipedrive’s mobile app. You can also bulk add as well as select which contacts you want migrating for a seamless transfer. Say ‘adieus’ to manual data entry and let Pipedrive’s app do the admin work on your behalf. See if open deals already exist with the caller. 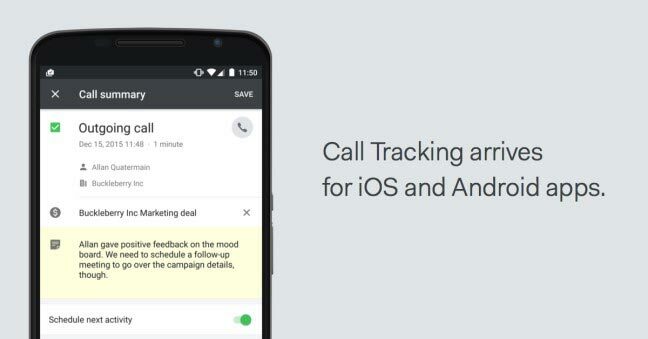 When a call from a lead is missed, you can receive a notification. AND, the latest version of the Android app, enables incoming calls to get logged too, as well as ones made outside the Pipedrive app. Android users are now able to filter organization and people lists as easily and conveniently using the app as if there were using their desktop. Now there is no excuse to stay chained to your desk, just to stay organized, these features enable you to stay on top of your game – even on the move. Verdict: Pipedrive’s mobile app offered a nice range of features for both iOS and Android users which enabled users to maximize their deals and time, wherever and whenever they wanted. In this section, we will look at what apps, services, add-ons, and campaigns; Pipedrive has to offer to make your workload quicker and easier. What happens when you integrate? Pipedrive forwards your files and stores your important emails so that you can share them with your team. Businesses would usually need to purchase a third-party software or two and integrate it with their Pipedrive to cater to all their business needs. What’s good about the integrations is you can still check and monitor your business’ progress and deals even when you are on-the-go. Android and Apple work well with Pipedrive because it is both desktop and mobile-friendly. You can easily take a quick view of your activities, contacts, deals, and any data you want to search for. What you can see in the web view, can also be seen in its mobile version. 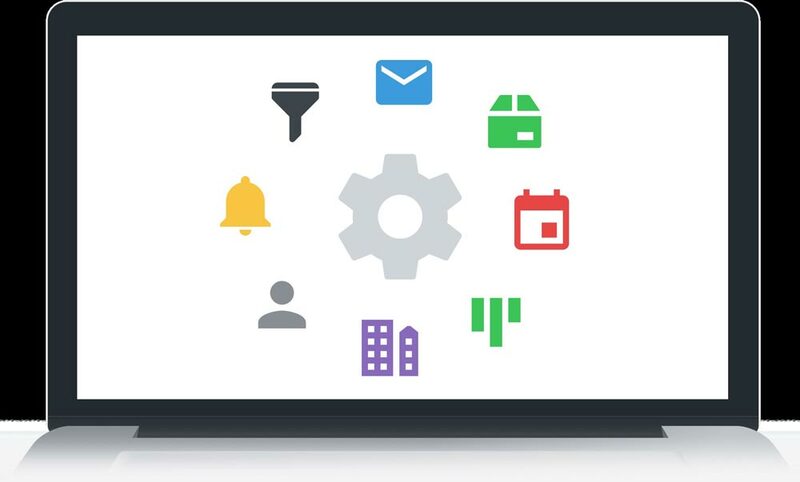 Just recently, Pipedrive CRM released new features that enhanced mobile productivity. There are new features in the mobile version such as being able to track log calls, making notes, linking calls and notes to the deals, and scheduling a follow-up activity. You can also receive push notifications and view tasks in mobile calendars that are synced with your appointments. You can be productive even when you are on-the-go. Working with sales and many other tasks in your organization? 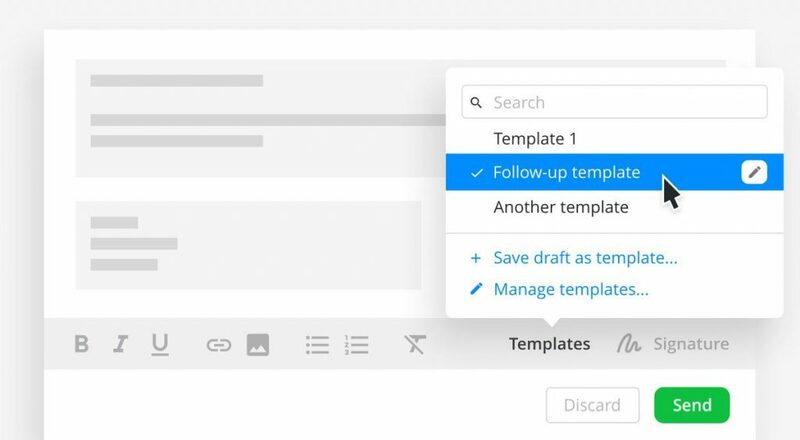 Asana can connect the flow of info on sales and other tasks as one. Starting with tasks or project, you can then work on deals with different stages in the sales pipeline. Tasks can be automated as well. Especially helpful if you have LARGE files, you can integrate Google Drive with Pipedrive. All the changes made with your files in the Drive is automatically synced and saved in real time, whichever platform you use. Filter your customer base through Google Maps according to their geographical location. Sync your planned routes while keeping your Pipedrive open. If you need a boost with your email marketing strategy, you can integrate MailChimp lists with Pipedrive. In there are custom filters to easily pick the audience that you like. For example, you want to send an email to a certain group of people only; then filters can help you complete this task quicker. Do you work with a team and tons of tasks to do? LESSEN the LOAD by adding Pipedrive Power-Up. Everything is automatic. When you open, or move, or close a deal from any of your pipelines, this automatically becomes Trello cards. You and your team can immediately see complete information about the deals in Pipedrive and make sure sales information is accurate. No TIME and MONEY is ever wasted again. I had a feeling some of my emails were being ignored…never read…deleted…or went to SPAM…I’m wasn’t sure. I came across this integration that kept me wondering no longer. Yesware can track which of your emails are being opened or simply ignored. The analytics do the work for you. Also, producing more emails is hassle-free because you can have reusable templates synced into your Pipedrive. Integrate this with your Pipedrive and integrates all your other web apps with it. 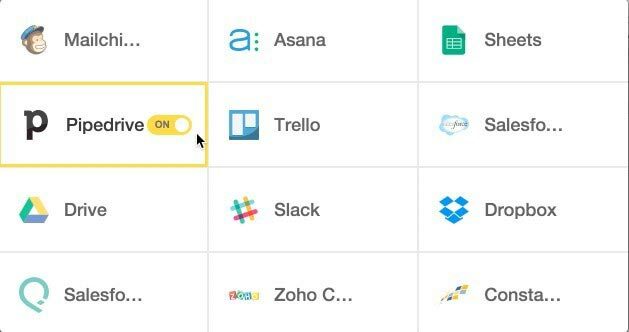 If you have third-party tools like Gravity Forms, Slack, or Wufoo; you can now connect this to Pipedrive with the help of Zapier as it allows transferring of data automatically. TRIGGERED… Data transfers in Cyclr pass through the Cloud and will be based on triggers like moving stages in the pipeline or changes in timeframes within the procedures. This means you really don’t have to do anything. What’s more is that it works well with non-techy salespeople who have no extra budget to pay for other programmers. The face of your business may rely heavily on the capabilities of your customer support. Why not empower your representatives to the sales data they need at the moment they are dealing with customers? Help Scout and Pipedrive can make sure your customer support and your sales data are in line with each other. You can’t have too many leads, can you? Slaask can push MORE leads and MORE customers into your Pipedrive. That means MORE MONEY. Isn’t that AMAZING? When your customers have problems or requests, Slaask can help you deal with them, and you will simply monitor it. Another Lead generator! Leadberry can show all new leads as “Lead In,” where you can immediately make follow-ups to warm them up to your sales. Since this is a web-based application, this coverts your site visitors into sales leads. You just have to wait for those leads to come in. Just integrate Leadberry with your Pipedrive, and the rest will follow. You NEED this software if you love all your data and sales communications to be organized and automated. Your analytics and schedules in the calendars will be automatically synced so you can have more time WINNING your deals, not logging in activities. INCREASE the productivity of your team. Integrate this with Pipedrive so you can receive and log all calls, texts, and voicemails, right in your Pipedrive dashboard. EVERY PHONE NUMBER will have a call and text button beside it if you put it as a Chrome extension. Verdict: Although Pipedrive CRM does integrate with numerous big-name productivity tools, compared with the price per user, I would have preferred to have seen more native functionality, as per some of Pipedrive’s competitors. So, let’s have a look at what analytics and reports that Pipedrive offers to ensure that you can always be kept in the loop. So, in reporting terms, Pipedrive’s live dashboard does offer you an insight into the status of the deals by a person, newness wins, losses and activities. Also, located under the ‘statistic’s tab, you will discover reports that cover either the entire company or a specific user. As in keeping with the rest of Pipedrive’s CRM’s user interface, the reports are visually appealing and easy to understand – result!! Pipedrive CRM has seriously revamped its reporting capabilities which includes adding numerous new deal views that incorporate ‘deals lost’ and ‘deals won’ graphs, deeper pipeline conversion analysis, and completed activity charts. Also, via the dashboard, you can even access a product-specific view that evaluates how many deals were begun, lost and won according to values, product, and discount that are associated with products together with the most active members of the sale team. The other new views are rather more deal-centric, such as allowing users to see who has started the deal, where it is in the pipeline as well as the status of all deals that were begun with a certain time frame. One of the most useful tabs, I think, in this system is the ‘statistics’ one, which is also able to be linked to the dashboard and then presented to other colleagues to help them better understand the critical metrics. From here you are able to follow how individual agents perform, what value each deal holds as well as the history for each lead. Recent improvements have given the system the capability to empower critical comparisons such as those between lost and closed deals. Well, it must be noted that Pipedrive does have the capacity to be able to store all relevant information and conversations within a centralized database, from where you can export it to other systems, or alternatively use your own app to extract detailed summaries. Verdict: Pipedrive’s Statistics tab is really helpful especially as it can also be linked to the dashboard and the numbers are easy to follow due to the visually aesthetic user interface. Remember, Pipedrive may not be the right CRM for everyone, so let’s try to get down to who precisely this tool is going to be suitable for. Pipedrive could be an option for those who are counting the pennies as compared to other CRM’s the price is reasonable and the software packed with features. Because Pipedrive is so easy to set up and navigate and has a simple and clear design, it is the perfect choice for those who are learning or just starting out. Pipedrive is not really aimed at high-level organizations and would recommend looking at a CRM such as HubSpot. What Pipedrive does represent though is a solid solution for small to medium businesses who are looking to implement basic CRM capabilities at a reasonable price. Well, that’s it. I’m now nearing towards the end of this review, and I hope that it has given you an overall idea what Infusionsoft has to offer. I’m guessing that the final and most important question is – Is it THE ONE, I mean the CRM for YOU and your WEBSITE? PipeDrive CRM has the benefit of being by far one of the easiest CRM services to set up and understand. Because of its clean and simple user interface, you will be able to spend more time cracking on with your next sale rather than more time working with the software. Users who are looking for CRM that will centralize all areas of their business should probably consider looking at something such as Zoho or SalesForce, as they may be left feeling disappointed with Pipedrive, as it focusses primarily on the sales pipeline rather than the deeper CRM database. Pipedrive excels at its next-step sales activity and main view pipeline which is aimed at helping teams to actively manage their sales. By using Pipedrive, your business will always have a user-friendly and efficient overview of the sales pipeline and your deals will be displayed in accordance to what stage they are at, which then allows you to see how your team is progressing as well as which deals need a nudge in the right direction. Because Pipedrive offers such a flexible pricing plan, all companies should be able to find one that suits their needs and budget. Why not checkout Pipedrive’s free trial and see first-hand how the software works before you make that all-important decision?